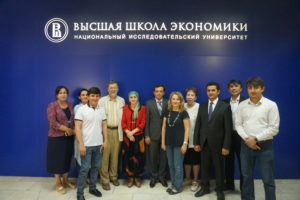 DevStat has organised a study visit on National Accounts and Price statistics for a delegation of the Agency for Statistics of the Republic of Tajikistan to the Hight School of Economics of the Russian federation (Moscow). 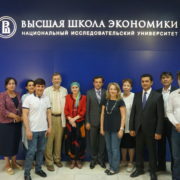 The study visit took place on 27-30 of June 2017 and covered topics related to the implementation of the System of National Accounts 2008, including the compilation of GDP on a quarterly basis, as well as methodological and practical issues of calculations of the consumer and producer price indexes. The activity takes place within the World Bank-funded project to support the implementation of the National Strategy for the Development of Statistics of this Central Asian republic. DevStat accompanies a study visit of the Cuban National Statistical office to the National Statistical Institute of Perú on business surveys. 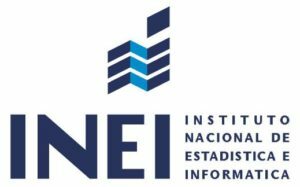 This August 2017, DevStat has organised a study visit to the National Statistical Institute of Perú (INEI) for delegates of the National Statistical office of Cuba (ONEI). The visit took place between the 2nd August to 4th August 2017, in the framework of a cooperation project signed between the EC and the FIIAPP (International and Ibero-American Foundation for Administration and Public Policies). Ms Paola Votta, international project consultant at Devstat, accompanied the 6 representatives from the ONEI during the whole visit. During the three days, the ONEI delegates could see from a practical point of view, how the National Statistical Institute of Perú is managing the business surveys and how works the business register. The visit covered issues such as: planning, sample design, training of field operators, tools and web forms for data collection and dissemination of results. We would like to take this opportunity to thank all the colleagues involved in the activity.